The foreword has been written by Boris Johnson, Mayor of London, and it includes a contribution from Simon Walker (Director General, Institute of Directors). 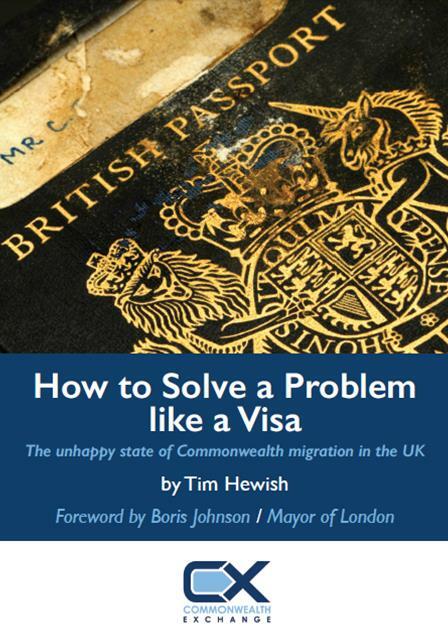 It also contains case studies from a number of Commonwealth citizens who have grappled with the UK visa system and often been treated scandalously. The report itself highlights the current parlous state of Commonwealth migration in the UK and the impact this is having on us economically, socially, and culturally. It also shows how immigration from many Commonwealth nations has collapsed in the last decade, in contrast to immigration from the EU which has more than doubled in the same period. Against this background, it makes six practical policy recommendations to help fix this sorry state of affairs. By doing so we have the opportunity to rebuild our links with the Commonwealth, boost our economy, allow firms in this country to attract the best and brightest, and enable more of our own citizens to realise the extraordinary opportunities that studying and working abroad can offer. During the launch we heard from Simon Walker and Dr. Gerard Lyons (Chief Economist to the Mayor of London) as well as from the report's author our Executive Director, Tim Hewish. You can listen to their respective speeches below. The abridged two-sided version of the report can be downloaded below.